The intermediary metabolism of small molecules is the meat and potatoes of cell function. The pathways and modes of obtaining energy, degradation and utilization of exogenous organic nutrients, and formation of the building blocks of the main macromolecules were a major focus of research in biology from the turn of the 20th century into the 1970s. Other matters have come to prominence, but the field is active, with interesting problems that are central to biology and medicine. Molecular biology developed through the use of one bacterium, Eschericha coli, with the saying Whats true for E. coli is true for elephants. In recent years, an analogous workhorse has been the eukaryotic microbe bakers yeast, Saccharomyces cerevisiae, used in many studies of cell biology common to multicellular organisms. 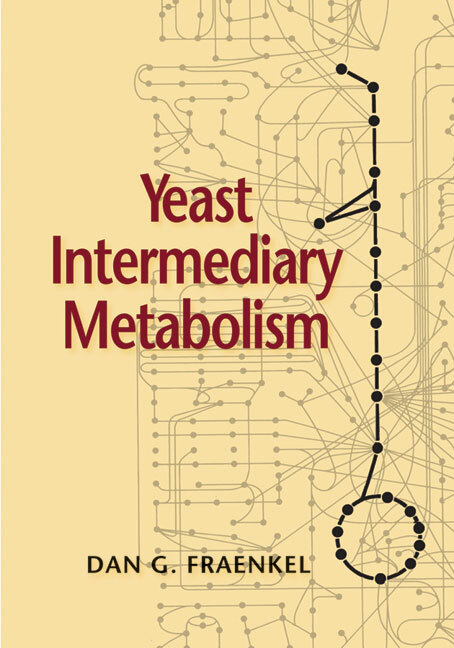 This book explains metabolism as based on Saccharomyces. The topics include central metabolic pathways; catabolism; fermentation; respiration; biosynthesis of small molecules including cofactors; the metabolism of lipids, polysaccharides, and storage molecules; inorganic ions; transport and compartments; the global analysis of metabolism; and issues of metabolic toxicity. It can be used in courses and as a reference book for research investigators.